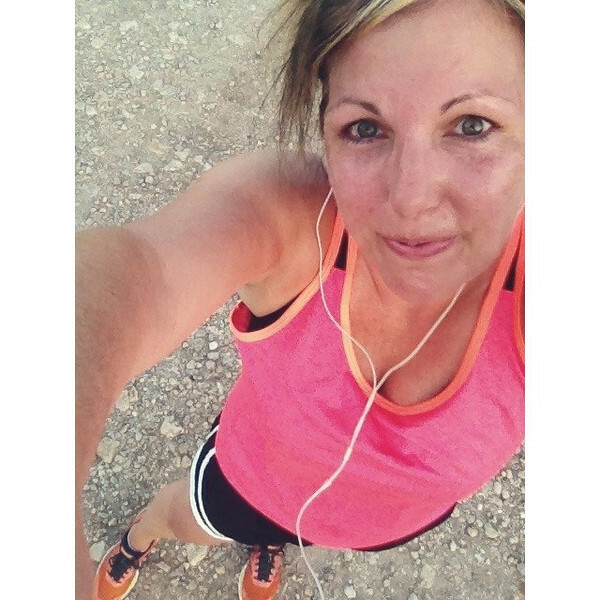 On a whim, as I am wont to do, I jumped into Haus of Girls' June Instagram running challenge a few days after it started (June 4th, to be exact). 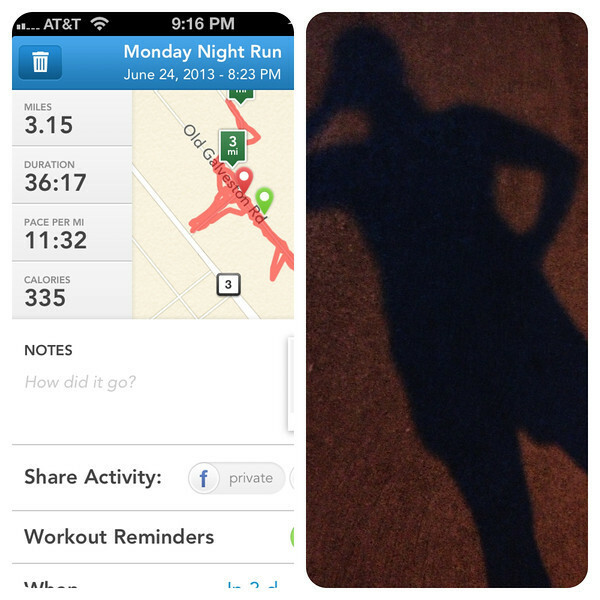 I had no idea if I'd really be able to run 56 miles during the month of June but doggonit, I was willing to try. 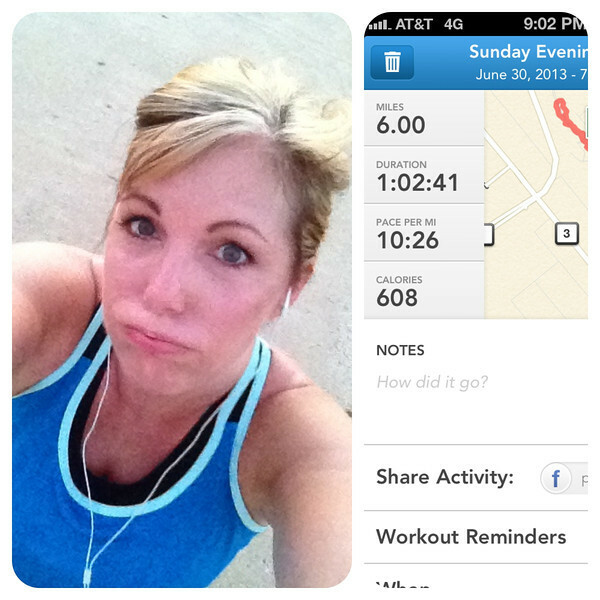 Because running in June in Texas is nothing if not character building. I didn't really have a set plan (surprise!) but just started running (slogging) between 2-3 miles at a time a couple days a week at first then gradually building my mileage. 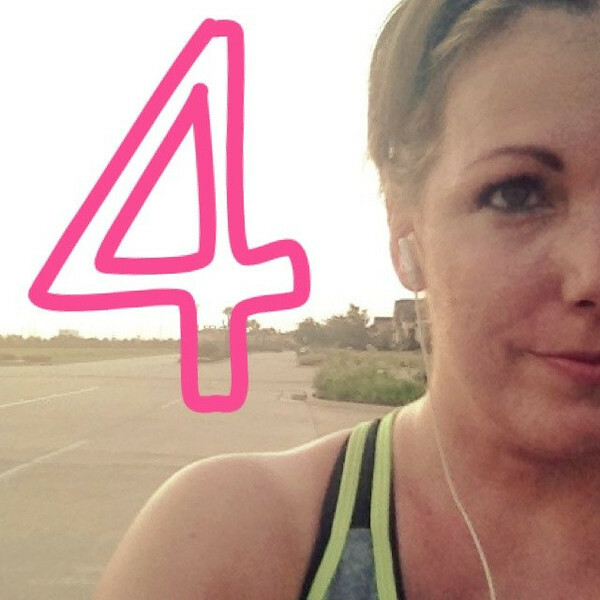 After the first week I got into it more and started running at least four to five times a week, with at least one 5-miler per week. I still follow Jeff Galloway's run: walk interval method, after 6+ years I'm fairly convinced that's just what works for me, running for my walk breaks. 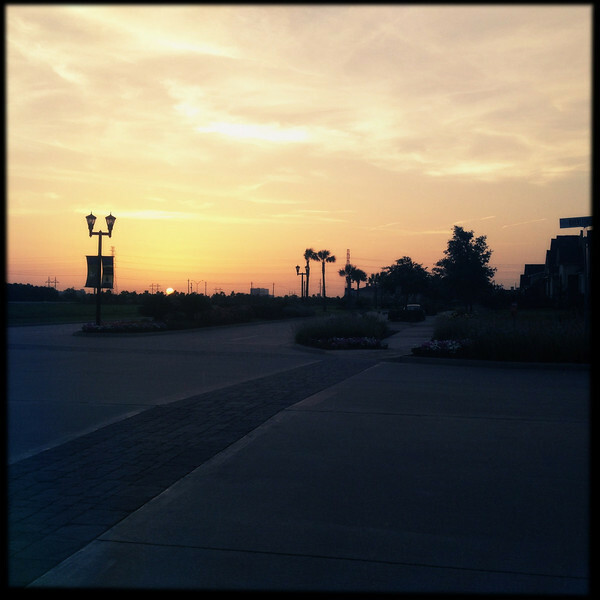 I currently follow a 4 minute run: 1 minute walk pattern. I can run for longer intervals (either time or distance) but I lose my energy faster and my knees hurt more, so I stick (happily) with my intervals. Maybe someday I'll run miles at a time without a walk break but for now, nope. Lately I've been loving these Champion tanks from Target because they are very lightweight, loose colorful and long. I'm also loving my Nike Tempo shorts because they are loose and comfy and lightweight (read: cool). The only drawback is the fact I don't have toothpick thighs so I do have to watch for chafing (yay for Body Glide and/or Vaseline) and pull them down occasionally on one side or the other as I run (I have this weird leg jerk I do, like a sideways pop, to get them back in place when I'm running). I've mainly been wearing my Mizuno Creation 13s but occasionally wear my Nike Lunar Glides because they are more of a freestyle shoe. My plantar fasciitis on my right foot has flared up a bit so I'm trying to be more diligent with stretching and foam rolling. I think adding in yoga would help overall as well because you can be tight in one area and yet feel pain in another, so yoga would help me loosen up all over (and strengthen my core). My dinosaur of a Garmin (like the 201 model circa 2007 that took up a good portion of my wrist) died one evening as I headed out the door so in a fit of desperation I gave the Run Keeper app a whirl. Since I carry my phone anyway for my Spotify running playlist it makes it so easy to track my runs with my phone as well. I set up a 4 minute run; 1 minute walk (steady:slow) on repeat and this voice comes on telling me when to walk and when to get my run going again. Most of my runs happen in the evening, which was a bit of an adjustment, but works out better than getting up at 4:30am to run and get back before Scott leaves for work. I can get morning runs in on Scott's Friday's off and on Saturdays, so there's that (of course, that's all contingent upon me getting up when my alarm goes off). Since we live on a dead end street I do a lot of out and backs. Whee. I also run across a pasture (there's a dirt path actually) to a nearby neighborhood and run through there which helps break the monotony. Plus if I time it right they have sprinklers going. Running at night has never been my favorite, but I'll admit it's grown on me. 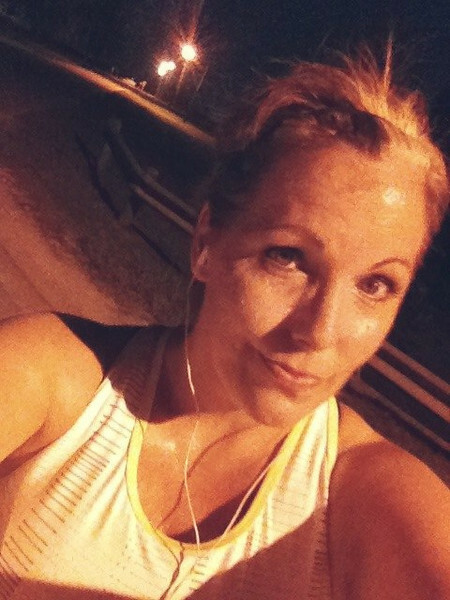 Did you know you sweat almost as much at 9:20 as you might at 6:00? It's true. At least here in Texas. With my plantar fasciitis talking to me more and a few later nights last week I didn't get all the runs in that I had hoped and the June 30th deadline was looming on the horizon. Last night I debated with myself about throwing in the towel at 43 miles and starting fresh in July or going out with a bang with a hail mary attempt to rack up a few more miles. I surprised myself with six. I've also been surprising myself with my pace. Is Run Keeper accurate? Fingers crossed it is because I really like the pace it's telling me I've been running. I know 10:30 would be slow for some but that's quite the speed demon pace for me. In fact, on one run last week it told me my average pace was 9:30 something. Can that be true? I stared at my phone in disbelief for a good long while. So...um, yeah, I was bummed at first that I didn't reach my #56milesinjune goal but then I shook it off and realized I HAD run 49 miles over three-ish weeks and considering the fact I ran ZERO miles in May (and hadn't really been running much at all even before then), I decided to be pretty doggone proud of myself anyway. Next month's challenge* is #50milesinjuly and I am geekishly excited about chipping away--or even crushing that goal. Wanna join me? C'mon it'll be fun! *It's easy peasy! All you do is run or walk during the month of July and track your miles. To make things a bit more social and fun you can post your progress on Instagram using the hashtag #50milesinjuly. I'm marathonbird on IG by the way. Hope to see y'all there! And? 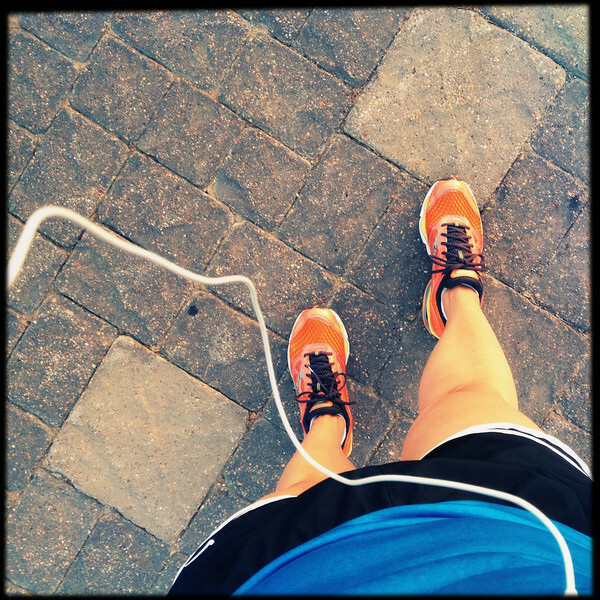 Here's my latest running playlist on Spotify (I usually listen to it on shuffle). Ugly truth alert: a few of the songs are, um, so not the *clean* version, sorrynotsorry, consider yourself warned. You are awesome! Way to go. That is so great! Now, I really don't want to bum you out, but I know my RunMeter app loses accuracy over distance. It is pretty dead-on for 3-4 miles, but I discovered when I ran the half in December that it got off the longer I ran. :/ But for your distances I bet you are golden. I might try to do 50 in July. I want to run another half and keep saying I want to get my distance up before I really start training so I can work on pace. We'll see. Woohoo! That's a lot of miles, sister! I'm always impressed that you'll even step outdoors in the summer, let alone go running!! !